Get your creative juices flowing, if you could go anywhere in the world where would it be? Any budget, any place? It’s an idea I have been pondering, I love to travel and is probably what I spend the most on when I can! My partner and I have been to quite a few places, and we obviously don’t, but if we had an unlimited fund where would we explore next? There are many places I would love to visit, I’d love to travel the world, but for a once in a lift time experience it would have to be Easter Island, Chile. Known for the colossal carved heads, Moai, Rapa Nui (Easter Island) is a tiny triangle of an island, 14 miles long by 7 miles wide. 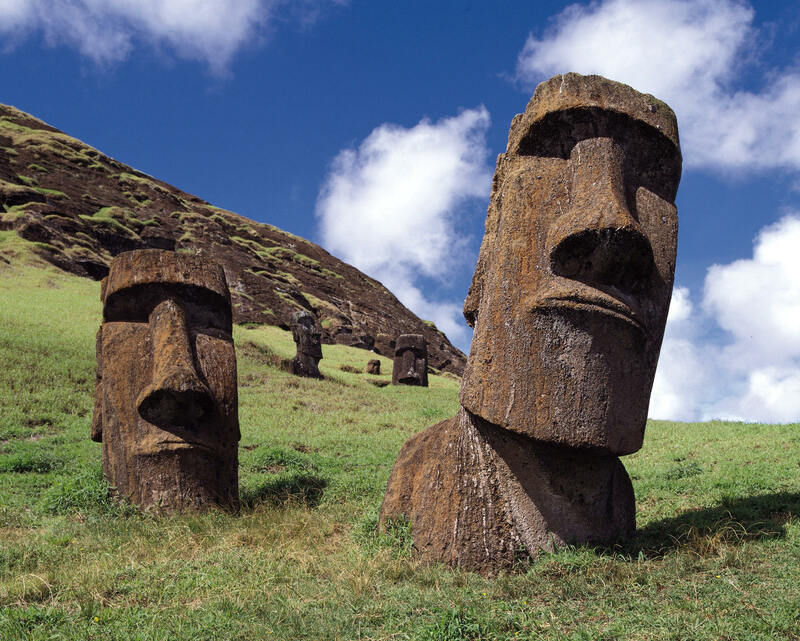 The tall figures were carved out of volcanic rock between the 11th and 14th centuries with not much known about the statues or their creators and at each of the islands three corners stands an extinct volcano. This could be an incredibly romantic trip, the island is 2,300 miles from the coast of Chile making it one of the most isolated places on the planet. Easter island is mysterious and hard to get to, one of the reasons for the preservation of the 1,500-year-old sculpture congregation. 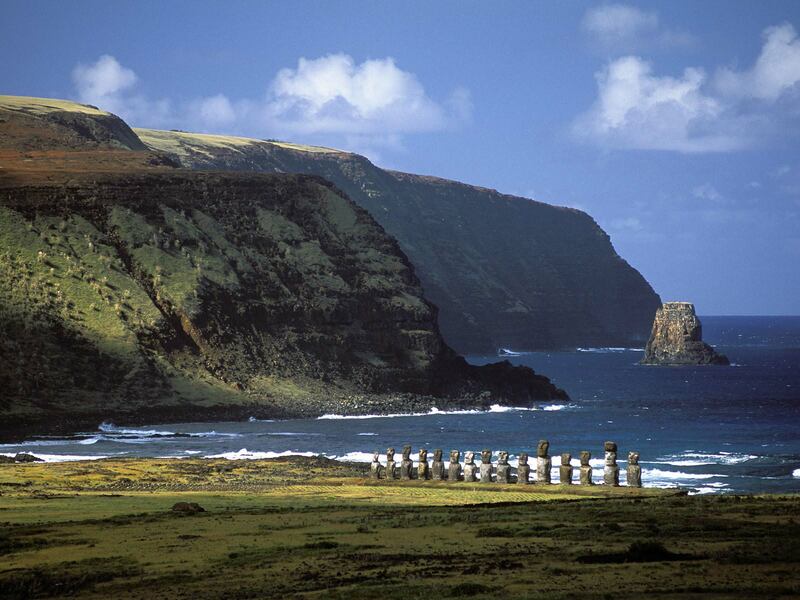 Much of Rapa Nui is a World Heritage Site with its permanent population being around only 5,200. The island is treeless but lined with sandy beaches. 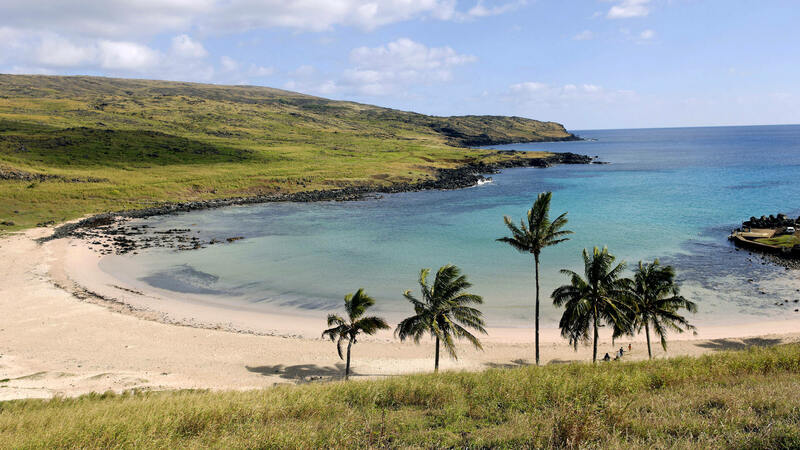 There is so much to see and do on this island, either walking or taking a minibus as well as activities in the clear water such as snorkelling, scuba diving, surfing, sailing and kayaking. 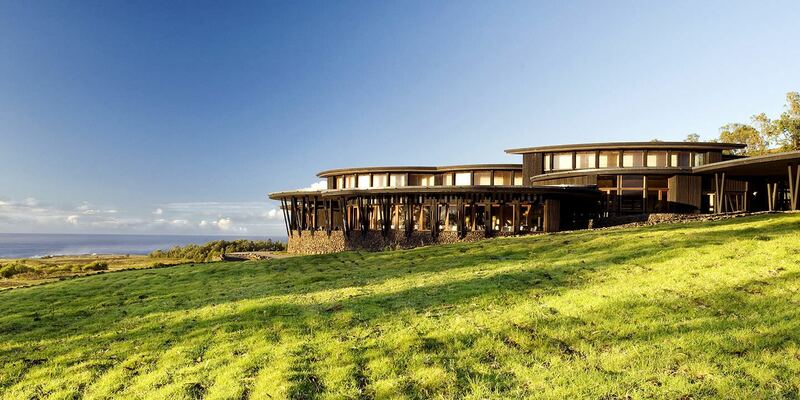 With Rapa Nui’s climate being subtropical it makes it the perfect time to jet off, with January and February being the islands hottest months. For these reasons, a beautiful island with a rich cultural history, it is definitely my dream holiday! Previous Post Birchbox December 2015 – Birchbag! Next Post Wedding weight loss #12 – 1 and a half stone loss!